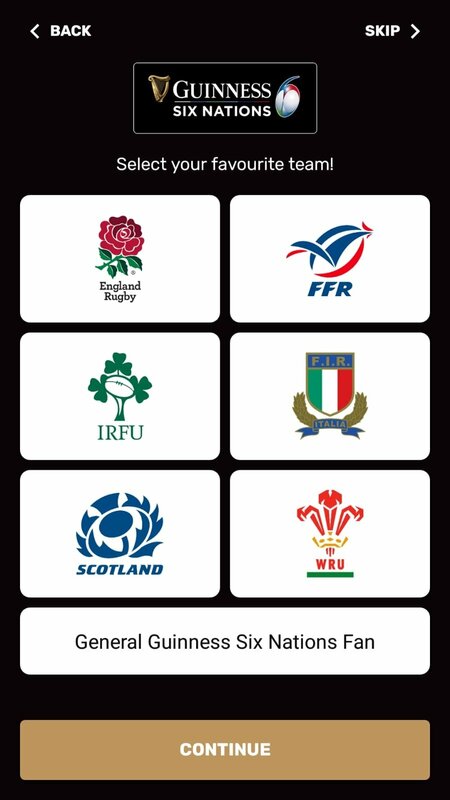 The Six Nations rugby tournament is this sport's most important international championship played in Europe. It brings together the most powerful nations and has been played since 1882 (although there weren't six countries until the year 2000, and even five until 1947). 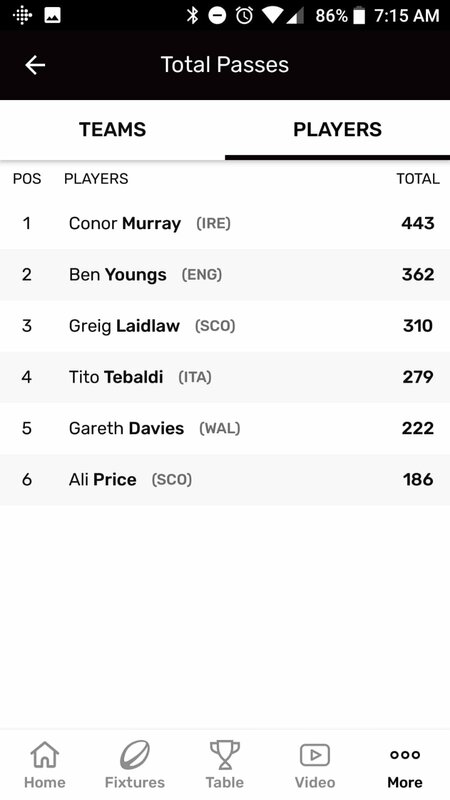 We're talking about England, Scotland, Ireland, Wales, France, and Italy, that play a league to crown a champion. 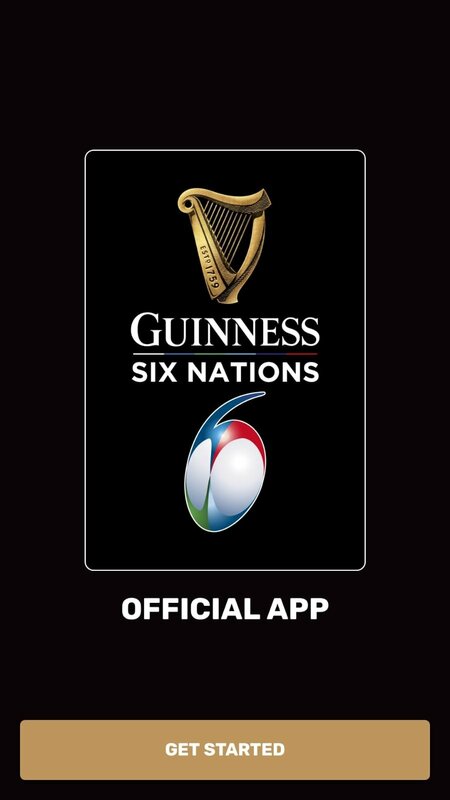 To keep up with absolutely everything that's happening in this tournament, you have to download its official app. 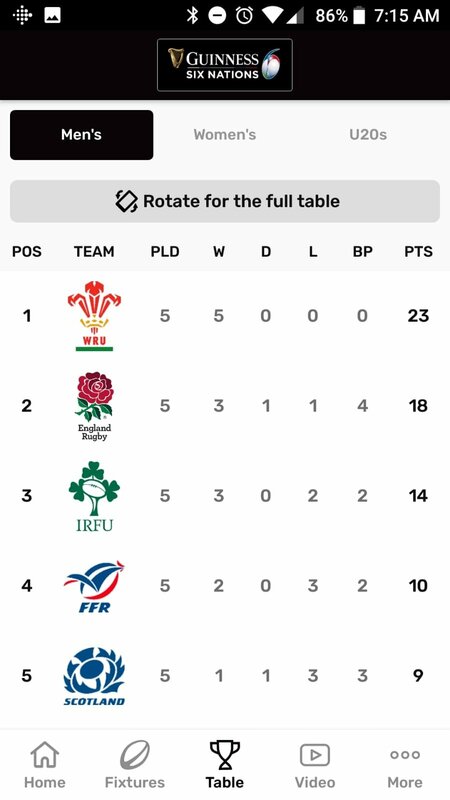 It goes by the name of NatWest 6 Nations Official, and it's basically a sports results app for Android focused on this championship offering us live scores, schedules, and news about the annual celebration of this event. 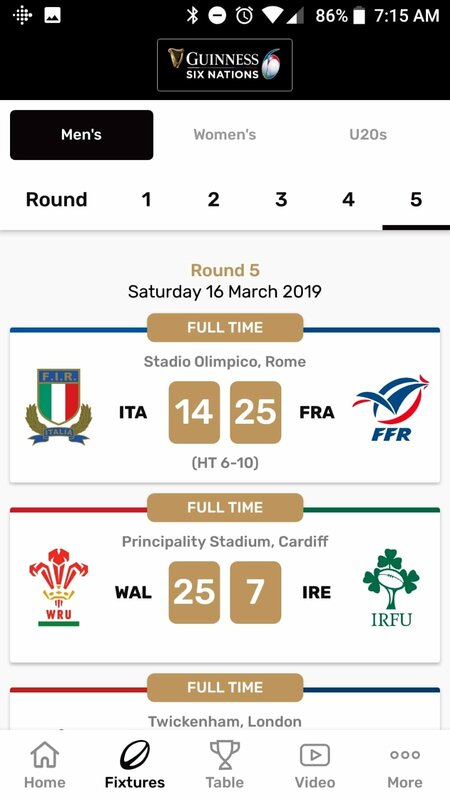 Calendar, results, highlights on video... don't miss out on the slightest detail of the most important rugby tournament in Europe. 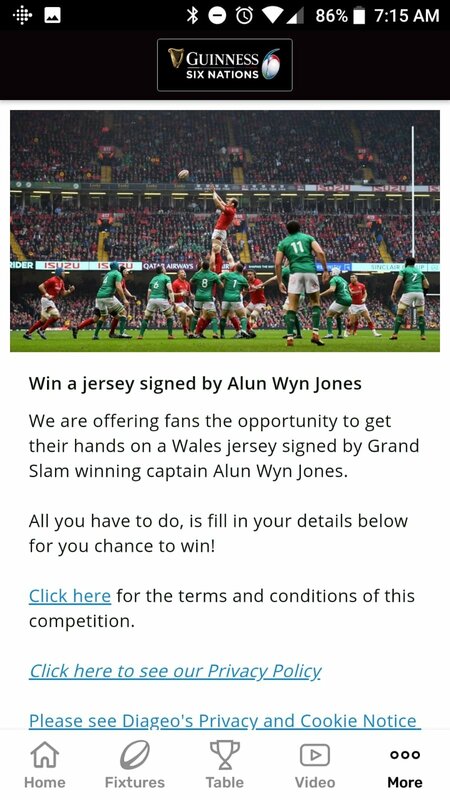 Check the latest news about the championship. Results and schedules of the matches. Videos with highlights and press conferences. Detailed global and match stats. If you've ever downloaded a live sports results app, which you probably have, you won't find any trouble handling this application. 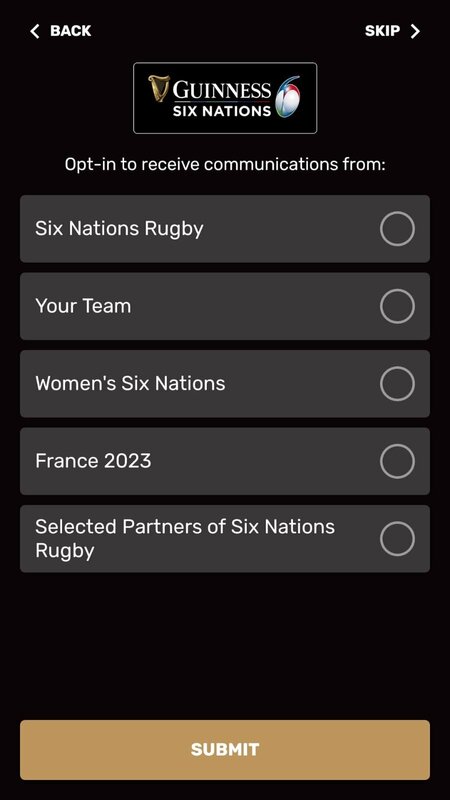 All the contents are perfectly organized and structured, allowing you to easily browse around and comfortably discover all the details you may be interested in regarding this popular rugby tournament.